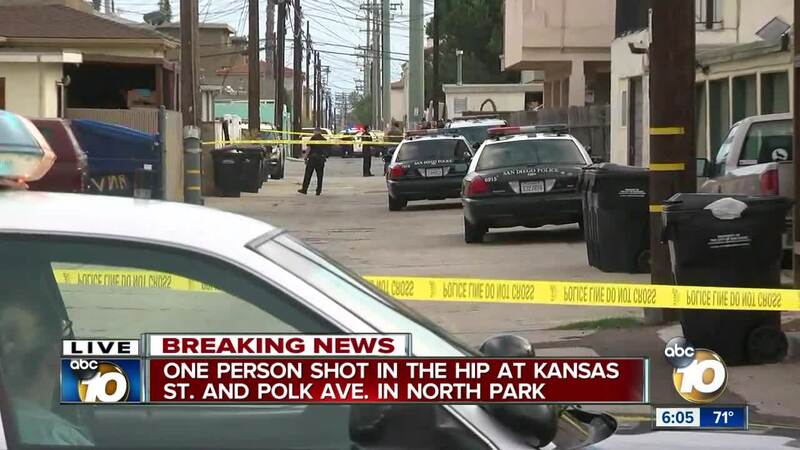 Police are investigating after a victim was shot in the hip in North Park Thursday afternoon. According to police, the shooting happened on Kansas Street and Polk Avenue. SAN DIEGO (KGTV) -- A man is recovering after being shot in a North Park alleyway Thursday evening. The shooting happened on the 4100 block of Utah Street at 5:14 p.m. According to police, the man was walking when a sedan pulled up next to him. A passenger in the vehicle and the victim got into an argument before the suspect shot the man in the arm and buttocks. The 35-year-old victim was taken to the hospital with non-life threatening injuries. Police say they are continuing their investigation.